With the FutureBook awards only one week away now the question arises: will we be lucky this time? Why? Well we have an app on the shortlist. So Aimer is all signed up for this year’s conference and awards ceremony where we will get to attend our first FutureBook awards dinner. However, it isn’t our first time on a FutureBook shortlist. We were shortlisted in 2011 for our Para Fitness app with Osprey Publishing but lost out to the amazing The Waste Land app from Faber and Touch Press. 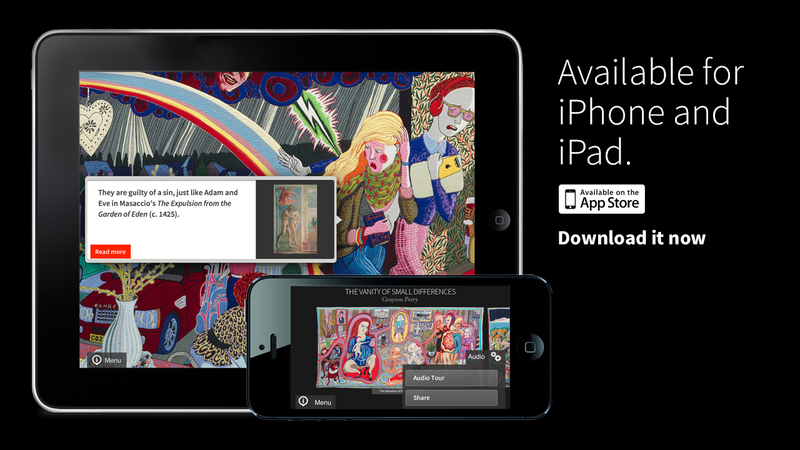 This year we have been shortlisted for our the Grayson Perry: Vanity of Small Differences app with the Arts Council Collection (Haywards Publishing/Southbank). We are in the category of Best adult digital book (including app, enhanced ebook, other) and are up against some very strong competition again and consider it a major achievement even to be listed. We wish everyone shortlisted lots of luck. You can read more about the Futurebook awards here . Arts Council Collection also posted abut on the shortlisting of the app on there website.